#Europe : at bay, at sea, ready for take-off, or at crossroads as usual ? The Twitter Hashtags for the “need to know” (or maybe not) about the May 25th European elections are basically #EE2014, #EP2014 and EUdebate2014. Sunday morning and no Coffee ? Life, mankind, the news on TV, and Sunday mornings cannot be all that bad. But where is America, these days ? French President François Hollande was in Mexico ! 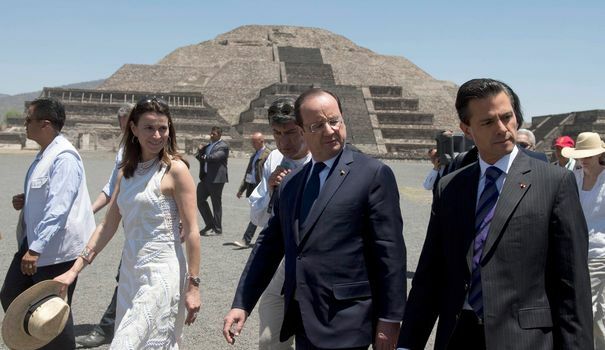 French temporary President François Hollande was seen in Mexico, with a brunette, earlier this month. Some French (medias) wonder, whether he plans to come back at work in France this year, or if he will settle abroad like Charles de Gaulle when in exile in Ireland. But, in fact, nobody cares. But where is French President François Hollande gone ?